I’ve recently been inspired by my dear friend Janelle to start cooking. Yes, the Husband put a ring on it even though I can’t cook (or clean!). I’ll never understand how I got so lucky. Anyway. We started having a theme night potluck dinner. Of course, the theme is travel. Obviously. And yes, most meals are based on the kind of beer we feel like drinking. 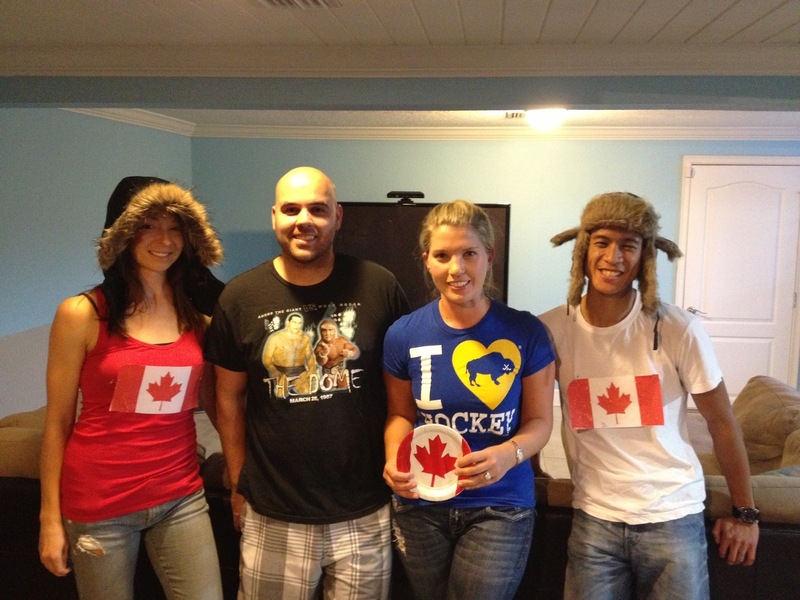 In preparation for our upcoming, nearly month long Canadian trip (yes, we going back to Canada), we decided to have a Canadian potluck. Well. 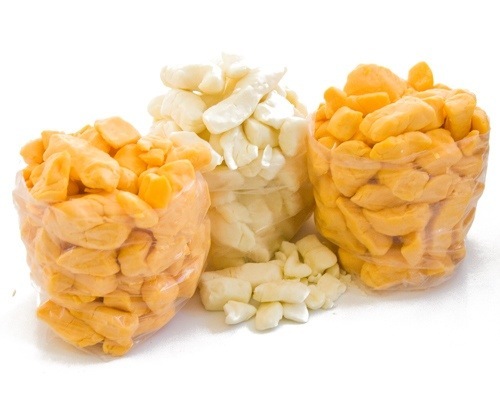 Turns out cheese curds are not available everywhere. In fact, most native Floridians have no idea what they are. But I didn’t let that stop me. 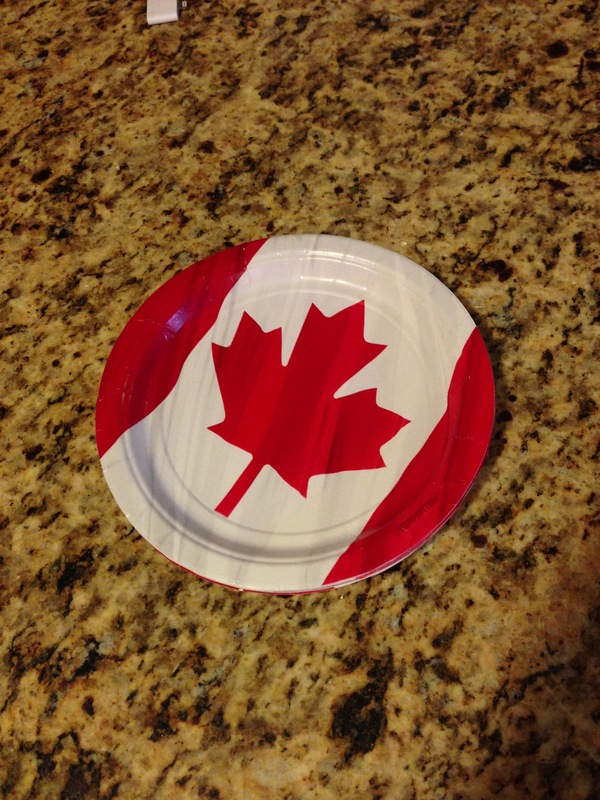 I bought Canadian flag paper plates and invited our friends Janelle, Pete, and Jeff over. Thanks Amazon for the plates. Getting ready to rock out to Justin Bieber and Michael Buble. Since I couldn’t use cheese curds I decided to improvise, using string cheese. I was determined to have poutine. 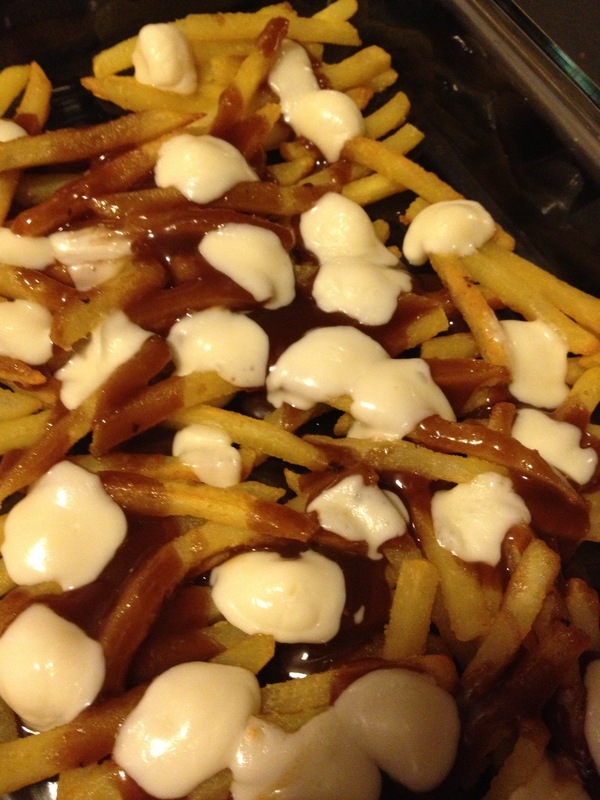 Poutine: French fries, beef gravy, and cheese sticks? Close enough. We also had maple glazed chicken wings and green bean casserole with Canadian bacon (should I just call it bacon?). And of course beer. We had Labatt Blue and Moosehead lager. So delicious and refreshing. Having these travel themed dinners really makes the wait for the next vacation a little more tolerable. Having it on Tuesdays makes Monday a little less painful too.